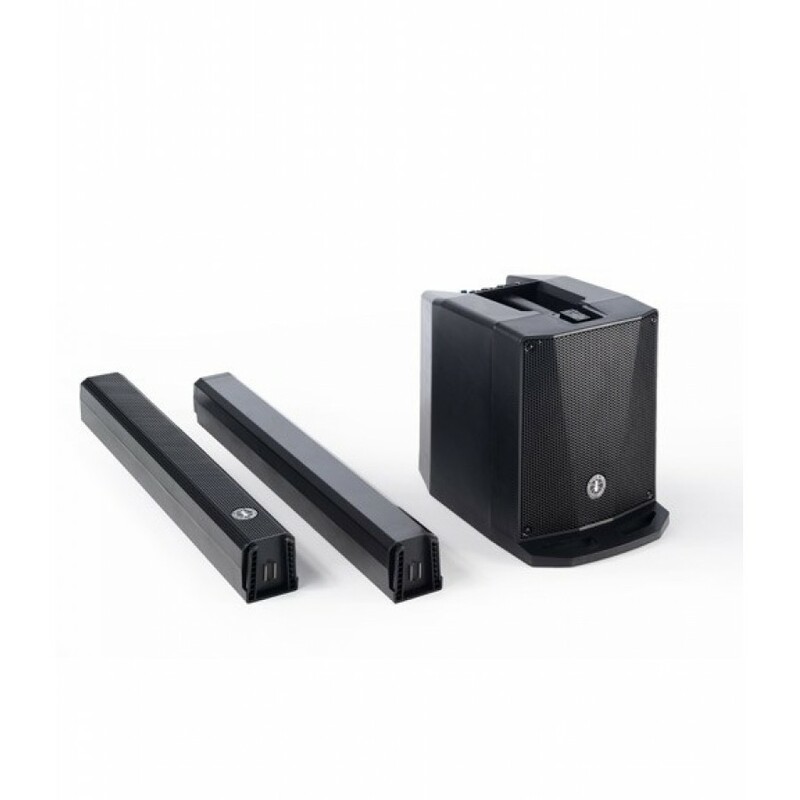 B-TWIG column PA system is all you need to provide a rich, powerful sound in any kind of application. Ideal solution for Dj sets, live acoustic sets, live singing on a backing track. B-TWIG 8 is comprised of a top HF element and a 1000 W subwoofer. You can set up the whole PA system in seconds, and no sound engineer is required to connect microphones, instruments or other devices. Simply the answer to all those solo-tour performers. Load the system on your car, and take your music wherever you want. 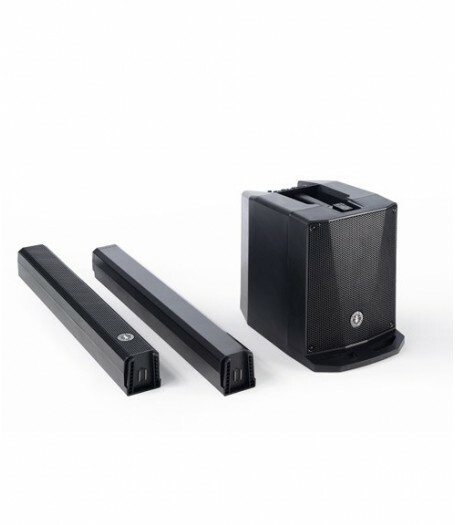 It is composed of two column elements: a stand and a speaker. Both are equipped with the slide locking system, which allows the coupling and the quick release of the elements that make up the system, ensuring a safe perfect functionality. Inputs, outputs and controls are placed on the upper side of the sub, allowing a quick set up and facilitating any change or correction during the performance. B-TWIG 8 system also features an on-board 3 channel mixer with a mini-jack input and Bluetooth® receiver allowing the system to receive audio from portable devices.